It’s time to get psyched up for our selection of sun-kissed shindigs, thanks to these 5 fabulous festivals set to take your summer by storm. If you’re flocking to this Mediterranean isle for summer ‘18, stay put for the fourth edition of Annie Mac Presents Lost & Found, set to take place over the first bank holiday in May – what better way to spend a long weekend? Kick-starting the festival in ultimate style on Friday 4th May is the AMP Lost & Found beach party, where you’ll find world-famous artists Solardo, Jamz Supernova and Stefflon Don pumping out top beach soundtracks. If that’s not impressive enough, cue incredible pool and beach parties, quirky castle raves and an unmissable outdoor festival arena, set to make your Malta experience a memorable one. Once you've packed your party shoes away, check out our recommendations for the top things to see and do on Malta holidays. Final tickets are available at www.lostandfoundfestival.com. If you’re Hungary for music, this 5-day fest located on the gorgeous Lake Balaton is sure to satisfy. Known as the sister festival of Sziget, Balaton Sound may be situated in a small town called Zamárdi (along the southern shore), but it certainly has plenty to shout about. 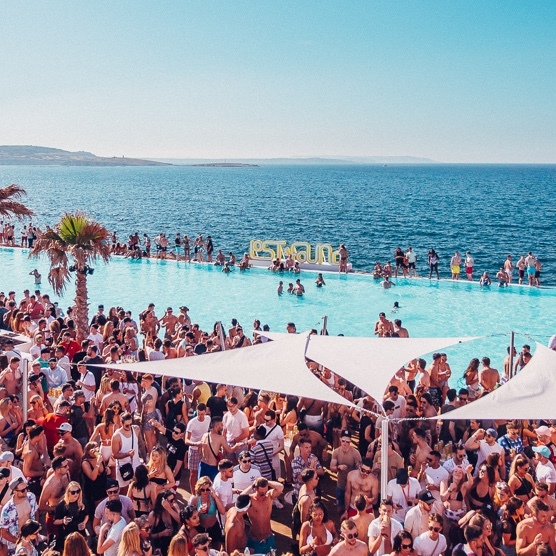 House and Techno lovers can make their way to the venue’s new stage The Clubs On the Beach, which occupies the waterfront with big brand names including Ibiza’s Pacha, London’s Defected, Brussel’s Fuse and many more. Brought to you by south London’s drum & bass authority Hospital Records and their events brand, Hospitality, this popular festival has moved out of London’s bustling city and touched down on the sun-drenched Adriatic shores of Croatia, for a 5-day celebration of sound. Listen to a world-class line-up amid the gorgeous surroundings of Tisno’s Garden Resort, where DJs will be playing your favourite beats until the early hours – but be sure to leave enough energy for the after parties! Fancy sticking around? A few days later Tisno Garden Resort welcomes the opening of boutique SuncéBeat Festival – a week full of diverse sounds, sets and artists, serving up everything from techno, house and funk, to the best of R&B and soul. Confirmed artists include Kerri Chandler, Motor City Drum Ensemble, Purple Disco Machine, My Scruff and more. Got time to explore? Discover all there is to know about Croatia's beaches and islands with our go-to guide. Crowned as the largest electronic music festival in Spain, Dreambeach caters to over 150,000 music lovers with some of the most influential artists in the industry. Located on the shoreline of stunning resort Almeria, the 5-day event will celebrate the festival’s sixth edition, with a line-up that offers everything from hip-hop, to trance and EDM. Celebrating its 25th anniversary in style, Amsterdam’s biggest (and longest running) music festival is a colourful collaboration of renowned artists, DJs and creatives set amid forestry hills and those famous flowery buds. Featuring some of the biggest names in the industry - cue Fatboy Slim, Hardwell and Alesso. The 3-day event promises the best of musical diversity, with House, Trance, Techno, R&B, Hip-Hop and more performed on the Main Stage, Q-dance Stage and Big Top tent. Colourful crowd of people dancing at the lost and found festival in Malta, with swimming pool and sea views.